Repair My Flute: Key Noise? 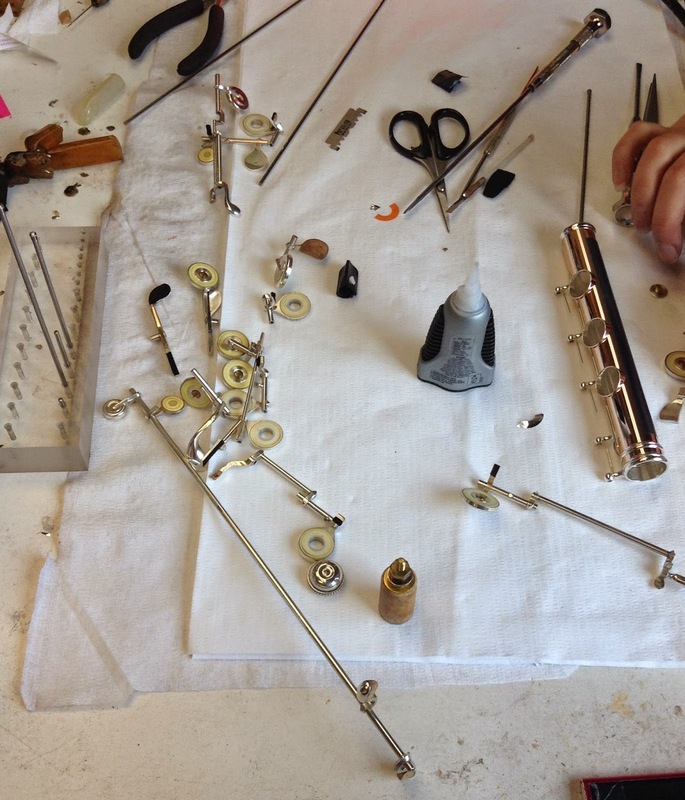 Key noise is certainly a topic of interest when it comes to flute maintenance and repair. If you've ever noticed some type of noise coming from your keys, you are not alone. So, what is the cause of this? Well, we asked our repair technician, Rachel Baker, and she told us it could be a number of things -- the keys hitting the tops of the tone holes, worn felts, or any number of parts of the mechanism that may be out of adjustment. She said it really depends on the flute, and each one must be assessed individually to diagnose the key noise issue and repair the flute accordingly. If you do hear a noise coming from your keys, Rachel says you'll want to tell your technician exactly which notes you are playing when you hear the noise. This is helpful because different parts of the mechanism are engaged for different notes. Sections of the mechanism also function in very particular ways when you are changing from one note to another. Letting your technician know which notes you are playing when the noise occurs can help him/her focus in on exactly what might be the root of the noise. Also, one thing to keep in mind when it comes to key noise is that a certain amount of noise from the keys and mechanism are normal. Rachel tells us that flutes are never "100% silent" when they are played, so some noise might be perfectly harmless. However, if you do hear a noise, do not hesitate to contact your authorized repair technician. As Rachel said, key noise may happen for a variety of reasons, and your technician will be able to determine whether the noise is something normal or if it is an indication of a problem that needs to be repaired.